A few years ago I took a trip to Buenos Aries, Argentina. The neighborhood closest to the Rio Plata is “La Boca” which literally means “the mouth.” La Boca was built up from whatever flotsam was available to purchase or pilfer from the ships that came into port. The result was many vibrant colors and striking architecture. 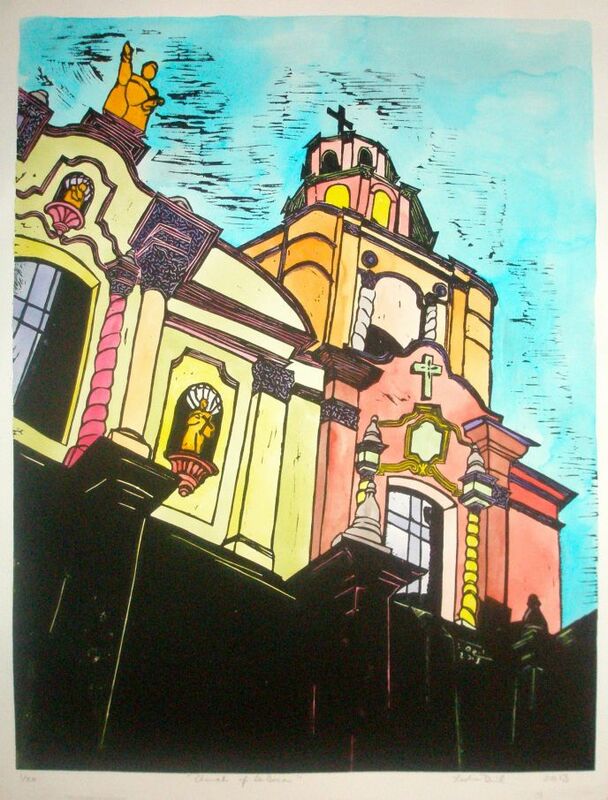 This print of the church in La Boca pays homage to vibrancy of that neighborhood.